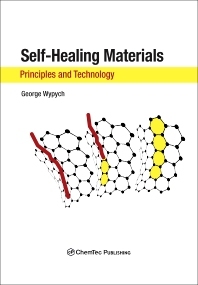 Self-Healing Materials: Principles and Technology is a practical book aimed at giving engineers and researchers in both industry and academia the information they need to deploy self-healing technology in a wide range of potential applications—from adhesives to the automotive industry, and from electronics to biomedical implants. Developments are increasingly seeing real-world application, and this book enables practitioners to use this technology in their own work. The book first discusses the principal mechanisms of self-healing and how these are applied to the development of materials which have the ability to repair themselves—either with minimal human intervention or without human intervention at all. The book provides a theoretical background and a review of the major research undertaken to date, to give a thorough grounding in this concept and related technology. The book specifically covers fault detection mechanisms in materials, and experimental methods to enable engineers to assess the efficiency of the self-healing process. It then discusses typical aids and additives in self-healing materials, including plasticizers, catalysts, shape-memory components, and more. Finally, the book contains real world examples of self-healing materials and how these have been applied to around 40 groups of products and industries, including materials used in the automotive industry, construction, composite materials for aerospace, biomaterials and materials used in medical devices, and adhesives and sealants. George Wypych has a Ph.D. in chemical engineering. His professional expertise includes both university teaching (full professor) and research and development. He has published 18 books, 47 scientific papers, and he has obtained 16 patents. He specializes in polymer additives, polymer processing and formulation, material durability and the development of sealants and coatings.